My message to Permaculturists: Known or unbeknownst to you — you are an exceptionally valuable and powerful human being. You are armed with the knowledge and information to bring you and the people around you into a place of abundance and harmony. You are powerful, and if you choose to be, are a pillar in your community for guidance and leadership. Know that through your knowledge of natural systems and patterns you hold the keys to the future of humanity — being able to provide the best options and decision-making processes for an abundant future. Understand your value and worth. We are going to need you — start now! If you hold a Permaculture Design Certificate, and feel like many PDC graduates, that you are missing or lacking something, or do not have the knowledge or experience you need to give you confidence in making holistic design decisions for your life, or as a career, then please let me know how I can be of service to you to help you gain the skills you require to be the best you can be. It has been a mystery in permaculture on how to transition (still pay the bills so to speak) from our current situation/lifestyle into an abundant and free permaculture lifestyle. In this post I have laid out a step by step guide on how to transition towards a free and abundant lifestyle. It is not the way as there is hardly ever only one way to do something. However, know that for the first time, that I am aware of, a step by step guideline has been introduced that will make your dream a reality. 1. Continue doing exactly what you are doing. You will need money to make the transition, so unless completely possible, it is not good to simply drop what you are doing try to carve out a food forest in the bush. 2. You must get educated! Would it be wise to go scuba diving without knowing how to breathe through a regulator? If you want to learn how to live with naturally designed systems then you must learn how they work. It is imperative to embrace and take a Permaculture Design Course (PDC). This will teach you not only the natural systems but also new ways of thinking that will empower you to live how you want. 3. Become a Weekend Warrior. A major expense in permaculture is the implementation. Since I am suggesting that you do your first 5-10 designs in the urban/suburban area, I am also suggesting that you get the design implemented using the “permablitz” method. 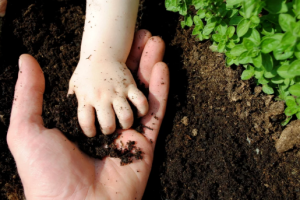 The basis of a permablitz is that people who want to gain hands-on experience developing permaculture projects can do so in exchange for helping with the implementation. 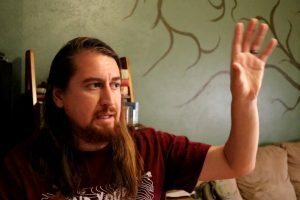 You can post on websites, or Facebook, or meetup.com that you (as a credentialed permaculture designer) are hosting a permablitz to offer both teaching of the permaculture strategies and techniques that will be implemented and also the very valuable hands on experience (which is hard to obtain under a knowledgeable/experienced teacher). 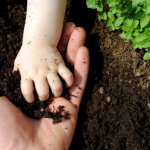 Lear the steps to developing a permaculture site here. Since the project is under 1 acre it means the only costs involved for the property owner is the cost of food and drink for the crew and materials (trees, plants, cover crop, water storage, etc…) if needed. Organizing this event will offer leadership experience, organizing experience, and help in a number of networking efforts and also create community with people who want to learn and help. 5. 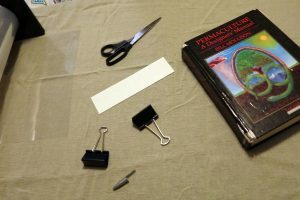 Establishing your Permaculture Practice. 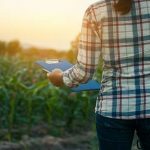 Now that you have 5-10 projects under your belt and have gained some experience, knowledge, and have a portfolio — you can now start your Permaculture Design Consultancy business. 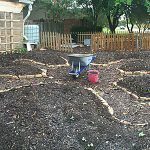 A permaculture designer with this experience, knowledge, and credentials can demand a $300 daily rate for consulting and or implementing (as of December 2013 in the Dallas, TX, USA market – the rates may be different in your particular area). However I would recommend staying with the permablitz model for implementation when possible as it is a win win win situation. I would also advise to get some marketing, negotiating, and business skills — nothing major, just enough to stay organized and balanced. The most important will be marketing skills. Depending on your situation and available free time — you may only be able to do these projects on the weekend. This is fine. Start part time on the weekends and make an extra $300 per weekend. If in debt then the money will be used to pay it off. If you need to purchase property then this extra money will be used to help purchase property and materials. 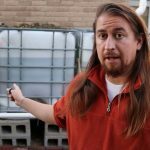 Start implementation of permaculture techniques and strategies on your property. You will now be practicing what you preach and teach. This will also raise your value to prospective customers — especially if they want to see a finished or developing property. People trust what they can see. 7. Build self-reliance. If you keep doing this then you will become out of debt and obtain property and will be able to start producing at least some of the things you currently need a job (income) for. This is the one scenario where burning the candle at both ends is working to your benefit. Your weekend work is meaningful and will start to turn into full time work, because you are becoming less and less dependent on your weekday source of income — until ultimately you do not ‘need’ that weekday income at all, and you go to it only because you ‘want’ to, and not because you ‘need’ to. 8. Just do it. 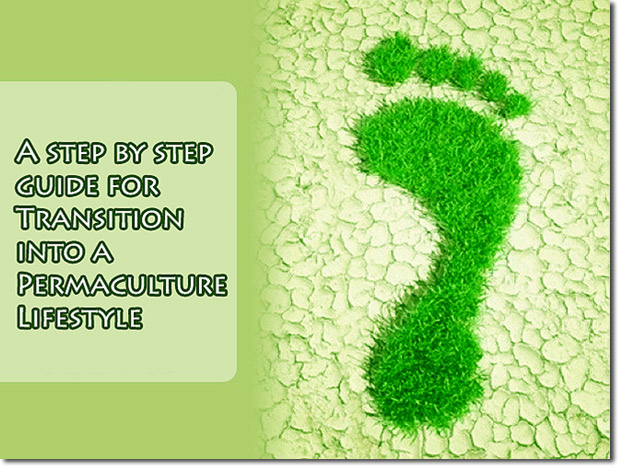 Now that you have a plan for transition it is important you stick to the path. Be flexible when needed but commit to obtaining freedom for your life through sustainability and permaculture. Now go rock this life — it is the only one you’ve got! A video going over these steps can be found here. ~We greatly appreciate your shares and likes. If you found something useful, please share. Nicholas is the Founder and Director for the School of Permaculture, where he leads the education programs and directs operations at both the farm and suburban demonstration sites for the school. 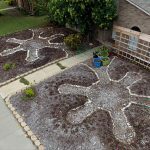 Since 2012, Nicholas and his team have worked on a large and varied number of permaculture projects from farms and ranches, to suburban homesteads and public parks, to apartment complexes and college campuses. He has received his permaculture education and training, in person, from the co-originator of permaculture Bill Mollison in Melbourne, Australia. He also interned with world renown permaculturist Geoff Lawton at Zaytuna Farm and attended the Earthship Academy for natural and recycled building construction, under the tutelage of Michael Reynolds in Taos, New Mexico. Aside from permaculture, and ecologic-related activities, Nicholas is a devote follower of Jesus Christ, a husband, and a father. He is also a nidan and instructor at the Flowing Circle Aikido Center, a major proponent of peace. He believes that through the application of permaculture, people can find a more meaningful and purposeful existence. Did a Permaculture Design Course – WHAT NEXT!? Nick, fantastic inspiration and writing in this post! Also a great roadmap for a permaculturist wanting to make an impact and build the necessary skills. One tip I might add in regard to marketing skills, as mentioned in Step 5, would be to find creative ways to explain Permaculture. The term Permaculture isn’t so popular or well-known in certain areas. So for example, a headline in your Craigslist ad might be – “Make Your Front-Yard Grow Your Food FOR You.” or “An Edible Paradise in Your Backyard?”. Then you explain Permaculture later – it’s your unique value offering. There is an early 1980s film, “Star Trek II: The Wrath of Khan,” which most people only remember because of Khan but is really about ‘The Genesis Project’. Permaculture is like the Genesis Project. It’s gimmicky, I know, but there’s something to it that might be turned into a marketing angle, if not a pitch. Anyway, it is an association I have made, and it could serve a purpose.